I usually don’t get to share the videos that I make with with United Hatzalah of Israel because most of them are private for donors, but from time to time I get to make an important, public video such as this one, where stories like Sanaa’s are not regularly shared in the mainstream media. Sanaa Mahameed is one of 330 Muslim volunteers of United Hatzalah who save lives daily all over Israel. I hope she inspires you with her enthusiasm and dreams, as much as she inspired me through the making this clip. Even though we haven’t yet met personally, kol ha kavod סנאא מחאמיד for all your work and letting us share your story. And a special thanks to Stand With Us for sharing the video on their Facebook page and getting over 32,000 views. Since 2015, Café Avra Productions has been working with the Cardozo Lecture Series, filming inspiring and sometimes controversial lectures on a variety of topics in Jewish thought from Rabbi Nathan Lopes Cardozo. In light of what is now taking place around the current and future status of Jerusalem, and the uncertainty in the air, I truly hope that all the wonderful initiatives that have been taking place in recent years to connect all the cultures that live here will continue strong. I am very grateful that only two months ago, the Leichtag Foundation let me join their visits to Bethlehem, Ramallah and Jericho through a very special lens. Through the arts. Through gallery tours and museums. Through contemporary art and thinking in these three cities. I was only able to catch a small glimpse of what I saw, but the trip was inspiring and eye-opening at the least. I wish the Leichtag Foundation a lot of success with their future work in this arena, and I hope we can all continue to connect on cultural grounds. Filmed and Edited on October 25, 2017 by Café Avra Productions for Modest Jerusalem. It was wonderful to join the team of the 3rd Jerusalem Biennale at the Knesset (Israeli Parliament) on November 7, 2017 where their recent exhibition “Balfour at 100” was showing to coincide with the Balfour Centennial conference. We made a small clip to highlight the exhibition and to share the Biennale’s perspective on why it was important that British-Jewish artists could give their interpretation of what the Balfour Declaration meant to them. 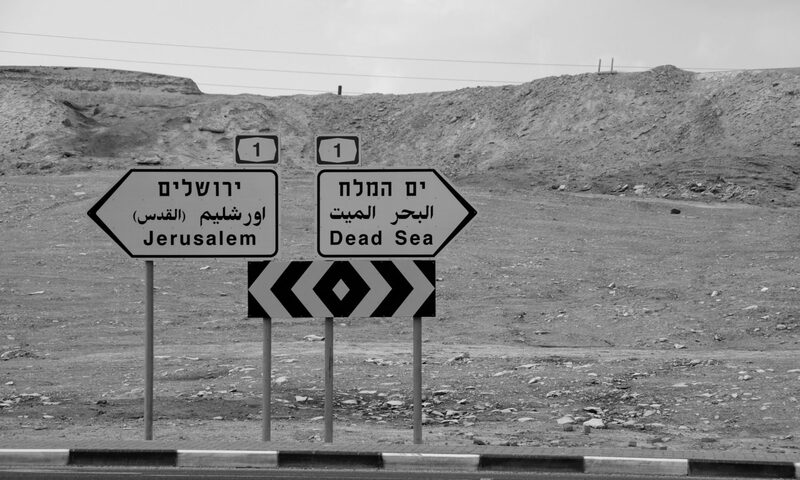 For more information on the Jerusalem Biennale visit their website or Facebook page. Cafe Avra Productions has recently produced two videos for the Jerusalem African Community Center’s crowdfunding campaign to raise additional funds for their children’s programs. It was wonderful to meet their amazing and dedicated staff, as well as interviewing some brave and kind refugees from Eritrea that live in Jerusalem and raise their families here. Please watch the first video below which features the parents of some of the children in these programs and click here to visit the campaign page. Hope you are having a wonderful summer and all the best from Jerusalem. We have subtitled in English this short, recently aired news clip to introduce their very own, inspiring, Yuvi Katz on her way to the Jewish National Fund – JNF conference in New York last week. We are happy to finally see the re-cap video we made (both filmed and edited) for Konrad Adenauer Stiftung Israel and The Interfaith Center for Sustainable Development up on Youtube! This was an incredibly informative conference and discussion on ways to incorporate climate change and other ecological issues within religious education, especially in seminaries. We hope to work with both the Interfaith Center and KAS on more projects in the future.